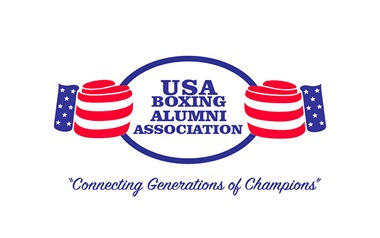 The newly created USA Boxing Alumni Association registration is officially open for those interested in becoming members. The Alumni Association, which was created to champion a lifelong, mutually beneficial relations between USA Boxing and its alumni, including boxers, officials, coaches and boxing fans, will help connect generations of champions, as well as help inspire and give back to USA Boxing’s future boxing champions inside and outside the ring. Open to anyone possessing a love for the sport and looking to stay connected with amateur boxing, the Alumni Association members are granted access to a variety of special events that will be hosted by the Alumni Association, including the first annual USA boxing Alumni Association Hall of Fame reception. World-renowned CBS and Showtime announcer Al Bernstein will serve as Master of Ceremonies for the event. In addition to Bernstein’s role as emcee, many esteemed members of the USA Boxing alumni community are scheduled to attend the inaugural event, including: Michael Carbajal, BJ Flores, Larry Fullmer, Virgil Hill, Raul Marquez, Steve Smoger, Jesse Valdez, Micky Ward and Eddie Weichers.